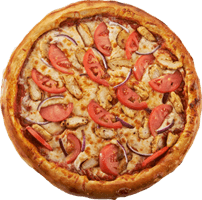 Welcome back, pizza fans! Gourmet Madness may have just begun, but the excitement is already in full-swing. Fans were blown away when the underdog, the Pricebuster, beat out the fan-favorite Hawaiian in the first round. Fans of the Hawaiian are blaming pie-hard PriceBuster fans for the loss. Some claim that Hawaiian-haters are guilty of plastering anti-pineapple propaganda posters throughout the Cottage Inn Arena in an attempt to throw the Hawaiian off their game. Is this all just a big conspiracy, or did PriceBuster fans really sabotage the Hawaiian? Tune into the broadcast to hear what our Gourmet Analyst, Cheese Louise, has to say about the pineapple drama. Other notable results include the Favorite beating the Cuban by just two points. The win was quickly followed by accusations against Gourmet referee, Mo Slices, for picking favorites on the court. On the same night, the All Meat crushed the Bacon Cheddar Burger in an overwhelming victory. Last year’s newcomer, the Roma Pesto, has beat the Flavorful Vegetarian to continue into the Saucy 16. Check out the bracket below to see the rest of the results. The Saucy 16 games will occur over the next few days. We will be back on Saturday, March 30th with results and predictions for the next round. Who are your picks for the Cheesey 8? The games may have already started, but it’s not too late to fill out your bracket! 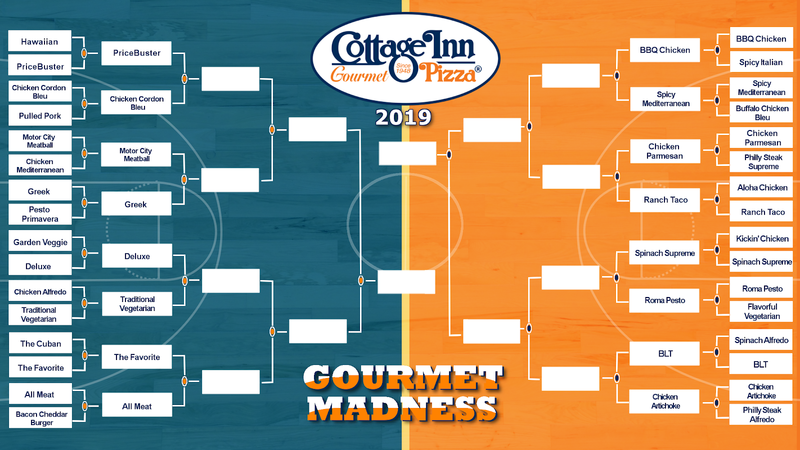 Fill out the rest of the bracket below to get in on the Gourmet Madness action. Place your favorite gourmet in the top spot and share your predictions on social media using #GourmetMadness. Keep up with Gourmet Madness on our Facebook, and Twitter pages at @CottageInn.